October 2013 marks an historic moment in the history of Crete: 100 years since that Island’s union with Greece. As an event worth celebrating, what better way to demonstrate for a seafaring legend to share unity with a maritime sea power Greece, and a regatta (sea route) – The Cretan Union Cup. 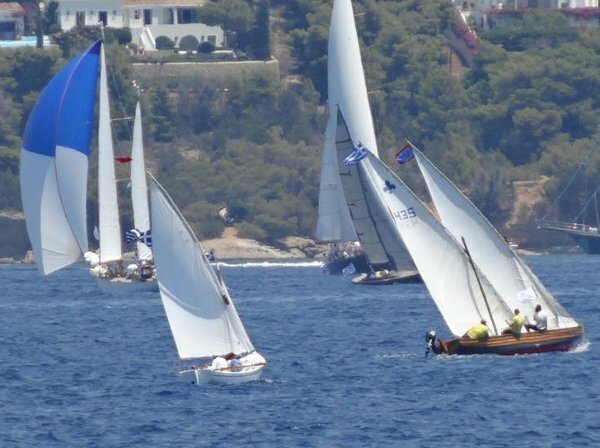 The international sailing races “Cretan Union Cup” are going to take place on the north coast of Crete (in Chania, Rethymno, Heraklion and Agios Nikolaos) from the 14th to 20th of October, while on the ground, events meant to highlight Cretan tradition and culture are scheduled. We all know Crete as an exotic tourism destination with its sky-blue waters, golden sands and perfect beaches doted white houses in the hills overlooking. This is, however, only a smidgen of what Crete is, and what the Island has to offer. Visitors to Crete now have the perfect opportunity to really understand Cretan history, traditions and a way of life that has existed for millennia; to understand from whence the attitude comes, and where the people’s kind hospitality and genuine way of life originated. Travelers always think of living an adventure and sometimes to travel through history at the same time. Remembering that from ancient times Cretan waters have been “crossroads” for the sailors and navigators of all the Mediterranean, the legend and lore, and the facts of Minoan civilization recall a seafaring nation way before the Phoenicians. 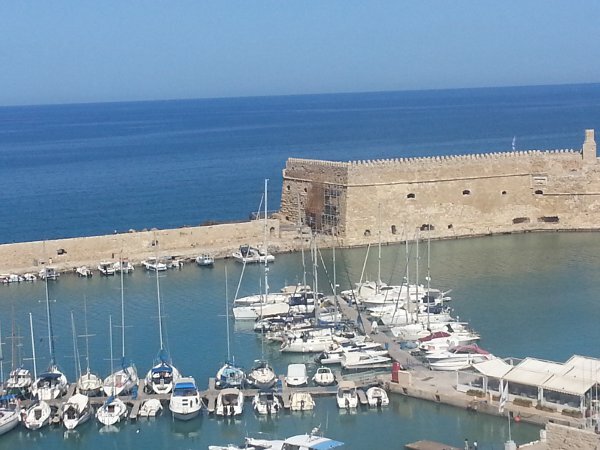 So, for a deep, dark suntan getaway, an archaeological jaunt into a never land of mysterious legend, or a sea salt spray sailing extravaganza to remember, Crete should be a center of attraction this coming weekend, and all next week. Sailing over the Cretan waters is like sailing through a myth, between the then and now of Summer’s end enjoyment, The Union Cup Regatta makes for a gripping centerpiece for a getaway. 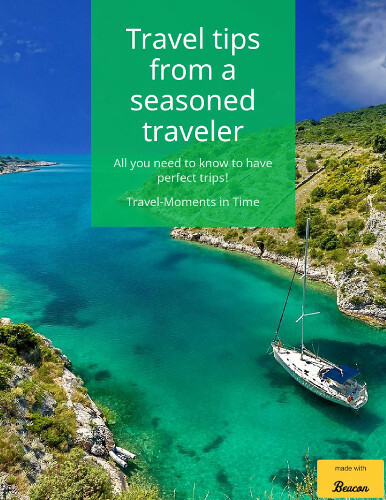 Visitors will get you to know the Cretans, the wisdom and pride of Zeus sons, the fantastic Cretan diet (I absolutely love Tzatziki), and they’ll get to dance on rhythms of Zorba. 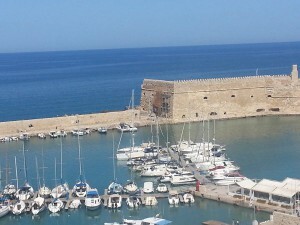 While in Crete, visit the capital Heraklion and see the Venetian fortress too. Then venture a couple of miles South to majestic Knossos, and the legendary palace of King Minos. Enjoy the good hospitality and sleep like a baby in the “hang over” the old harbor – Lato Boutique Hotel (see my view from there above) perhaps. From there, we were able to dream and watch misty eyed over the Cretan Sea, you can even watch the regatta from there too. Such a unique opportunity involves the whole community of Crete: from citizens to businesses on the Island. The event it will be covered internationally and it´s meant to put Crete on the yachtsmen’s destination map. Those of you interested in the regatta can find more information here. 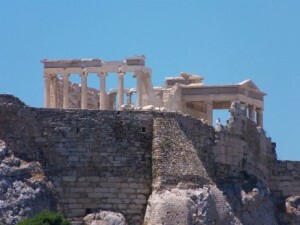 One thing is clear though: there are many wonderful places you can visit and Greece holidays are definitely to consider when thinking of your next trips.